PET is widely used for packaging in the non-alcoholic beverage and food industries, allowing brand owners and manufacturers to reduce production and transportation costs while taking advantage of this material’s greater design flexibility and increased sustainability. The beer industry is more conservative as far as packaging materials are concerned, with glass and can currently accounting for 98% of the North American market (Euromonitor International). While most qualities of PET are attractive for beer producers as well, some of its characteristics have slowed down its adoption up to this point. However, recent developments addressing beer producers’ specific needs make PET bottles relevant for this market as well. For instance, beer bottles need to keep carbon dioxide in and oxygen out, so that the brew maintains its taste, smell and foam stability for a commercially viable shelf life. Since light can also affect the bottled beer, glass bottles are usually tinted in order to protect their contents. Additionally, beer bottles need to withstand high temperatures during the pasteurization process and the resulting high pressure inside the container. Thus, to address the specific needs of the beer makers, PET bottles have to provide effective long-term gas and light barriers. This used to be an issue because of PET’s permeability, but currently there are a few solutions available on the market, such as multilayer structures, oxygen scavengers combined with a monolayer structure, and internal coatings. Multilayer structures are very effective at preventing oxygen from getting into the bottle, but carbon dioxide loss can still be an issue. Oxygen scavengers blended with PET into a monolayer structure provide a simple and cost-effective solution, while internal bottle coatings allow beer in PET bottles to achieve a shelf life of six to nine months. Until fairly recently, using a PET bottle without a petaloid base for beer would have been impossible. The stress placed on it during the pasteurisation process would have caused the package to fail. However, innovative bottle designs allow producing PET bottles that can withstand pasteurisation and maintain the traditional beer bottle look and feel. 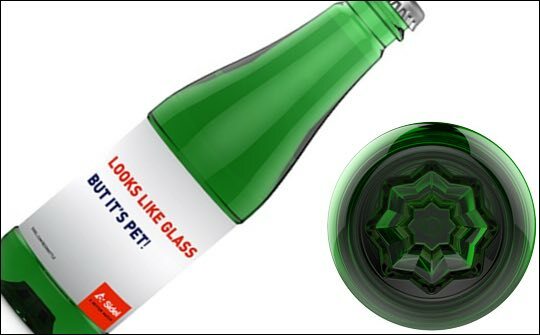 For example, Sidel introduced on the market the world’s first-ever pasteurisable lightweight PET beer bottle using a specially designed, champagne bottle-style concave base. This solution allows beer producers and consumers alike to make the best of both worlds and enjoy the performance of PET with the appearance of glass. When comparing packaging materials based on their acquisition, production, and recycling costs, it becomes apparent that glass is more expensive than PET. Additionally, PET bottles are up to 86% lighter than glass ones and also shatterproof, thus making handling, transport and shelving easier and more cost-effective. A case in point is the new Sidel PET beer bottle, which weighs only 28 grams. By adopting this solution, producers could realize significant savings, as less material is needed to produce the bottles and it costs less to distribute them to consumers. Moreover, this bottle design can be used with tunnel pasteurisers for glass bottles, so there is no need to invest in new pasteurising equipment. 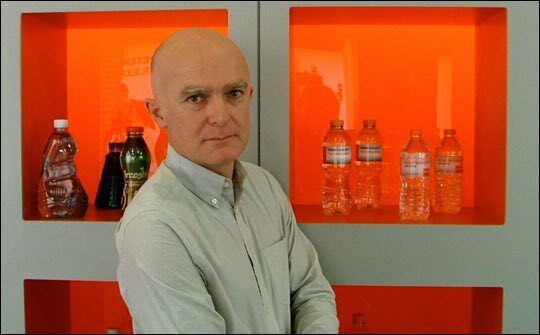 Producers are increasingly turning to PET to create bottles with distinctive shapes to increase sales in competitive environments. PET packaging is attractive to producers and consumers alike, as it allows for great design flexibility at a low price, and it is durable, sustainable, and user-friendly. Being light in weight yet resilient and resealable, PET bottles are also very convenient. Through advanced structural design capabilities and predictive simulation, packaging design can be modeled and submitted to virtual testing, in order to predict design evolution according to end users’ needs (bottle handling, storage, attractive design matching beverage attributes), and industrial specifications. Multiple studies assessing the sustainability of various packaging materials found that PET is a superior alternative to glass, as it uses less energy during production, creates less pollution during manufacturing and transportation, and is easily recyclable. PET bottles are also more durable, thus result in less solid waste and are safer to use. While there are many benefits of switching from glass to PET packaging for beer, consumer safety is a priority for packagers. Many events, like music festivals and baseball games, do not allow the sale of beer in glass bottles because of this reason. Thanks to the fact that PET bottles are nearly unbreakable, consumers and businesses alike can rest easy that no harmful shards or sharp edges will lead to injuries. It should come as no surprise that North American producers show increased interest in PET beer bottling and are working toward implementing a change. Switching to PET beer bottles would allow brand owners and manufacturers to stand out from the competition and considerably improve profitability in all areas through cost reduction from raw materials acquisition to production and distribution. Adopting this solution for the beer industry would also result in a significant reduction in energy consumption and fewer harmful emissions during transportation, and thus a lighter overall carbon footprint for a greener world. Eric Robine is the business area manager of packaging, line conversion and moulds for Sidel North America. Sidel is the leading global provider of PET solutions for liquid packaging. For additional information, visit www.sidel.com.